On reading plenty of end of year reviews of books, films, games and TV I realised that this year, more than any other as an adult, I’ve just not had any time for any of that. There are several reasons for this, none of them particularly bad, one is very good (he’s 5 months old and sleeping soundly upstairs). But it doesn’t stop the feeling that I’ve missed out. You’ve lost out on experiences and things that other people have had. I’d promised myself that I’d do much more writing too, all I managed was a solitary horror story during the summer and a brief piece of freelance for a website. So, what did I watch instead? Well, at the start of the year, inspired by Mark Cousins’ ‘The Story of Film: An Odyssey’ (watch it!) 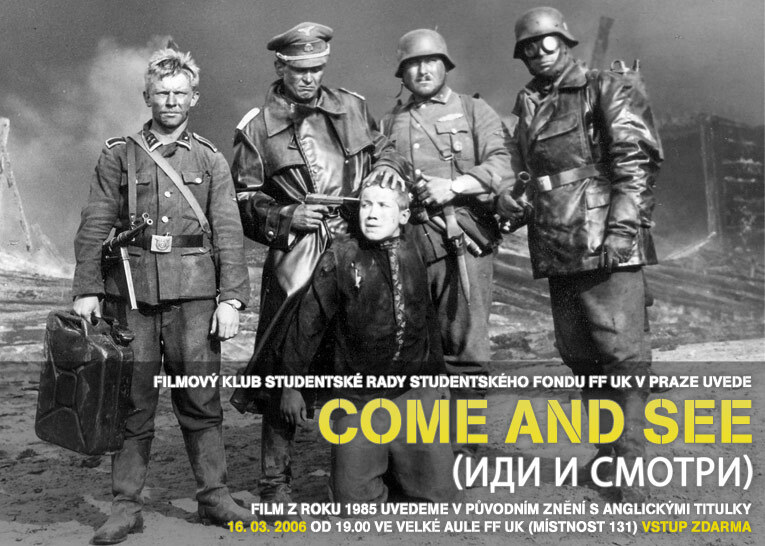 I went about watching Come and See. A film so shuddering, so affecting, that I spent the rest of the year convincing people to see it. There is no flicker of doubt in my mind that it is a defining film about war. Other films from around the world, from Black Rain (the Japanese one!) to Schindler’s List, from Nuit et Brouillard to Full Metal Jacket all pale in my mind. The broad assault on the senses is so all consuming that it overshadowed anything else that I watched. Watch it. It will haunt you. I’d decided, along with a friend, that I needed to cover the missing spots in my knowledge (read his excellent end of year list here!). Major works of film that we’d missed out on or avoided so far. After Cousins and the experience of Come and See I was finally inspired by reading this, fairly random, list article. 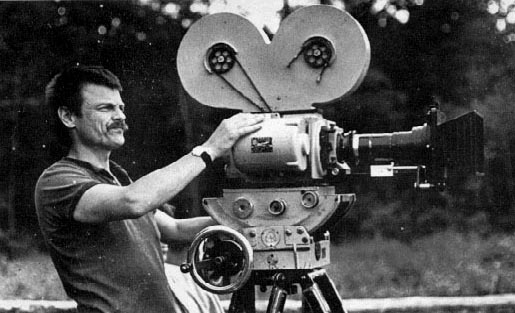 Tarkovsky was the only director whose work I’d never seen any of. A DVD box of the seven films he’d made was a mere £30 (it now costs £150 inexplicably). Even if all his are available online for free I did want the best available package. So, this year I watched the seven films of Andrei Tarkovsky. It is true, he hasn’t made a bad film. He’s made a boring one. Solaris. But even that is so fundamentally brilliant and thoughtful in construction that you have to engage with it on an intellectual level. The ideas, the sheer magnitude of thought outweighs its pace. I liked them all. I felt better, smarter, enhanced for watching them. There is something special about the cinema of Tarkovsky, something so different. He’ll never get a populist revival, the pace of his work is at odds with modern life, his stories are merely skeletons, foundations of bone on which the beauty of everything else hangs. I was going to write something on each film but Tarkovsky’s first film, Ivan’s Childhood is functionally a similar story to Come and See and suffers a little in watching it so shortly after Klimev’s powerhouse. Though it is still a superb film, stark and beautifully photographed, with a dark denouement where a wire hoop holds the answer you didn’t want. 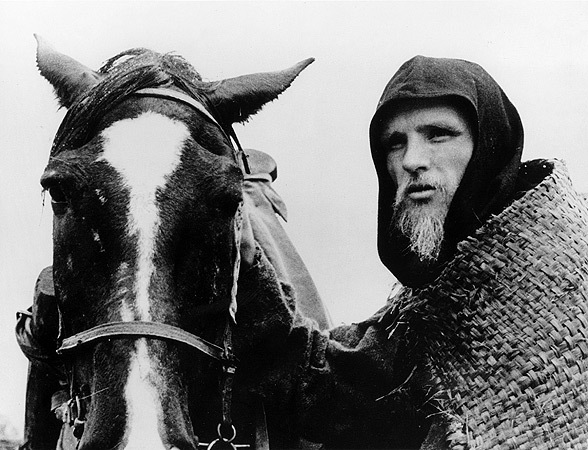 Andrei Rublev is a different beast entirely. Having wrestled with Mosfilm, the Russian film authority, on getting the film released it’s initially difficult to understand why. In fact, at first, to Western eyes dimmed by the constant parade of over edited, over stylised, gaudy and exposition heavy produce from America, it’s easy to be completely nonplussed at a film like Rublev. It’s black and white, set in the medieval 1400s and the main character is a bit of a non-entity. At three hours in length with an episodic story that has no apparent continuity it is, in the tradition of Russian literature, a forbidding experience.